We finished up something special a couple weeks ago: 30 Days to Better Writing. It’s a mini course—30 lessons, 30 days, 30 minutes a day—crafted to help you build a writing habit. Why build a writing habit? Writing is the starting point for all other mediums. Today’s episode is an extremely practical guide to helping you clarify your message, improve your writing and speaking voice simultaneously, increase your writing speed, and so much more. If you know you should be writing more but struggle to maintain a writing habit, this episode is for you! Writing is the fuel for every other medium. Writing helps get ideas out of your head. Writing helps you build an audience. Writing helps you know your message. Write simply in a way that any person can understand. Infuse your natural speaking language into your more articulate writing language to create your hybrid voice. Audit your speaking through writing to avoid cementing bad habits. Bridge the gap between your mind and your fingers by writing whatever comes to your mind as a starting exercise. When you fall off your writing habit, establish a new process. Start again, and follow your process in the future. Never fall off your habit the same way twice. Get around people who are also practicing a writing habit. 03:51 Sean: What was your motivation for doing a workshop, Ben? 03:56 Ben: The workshops are for two purposes. One is to get me in front of people, so I can develop relationships, network, and provide some free value and potentially gain new clients. The other purpose is that it forces me to sit down and write, to get clarity on the things I’m already talking to clients about. It helps me do a better job when I’m working with a client, either producing something or doing consulting. 05:00 You probably wrote to prepare for your workshop, Ben. What was the evolution of that? How did you start that writing, and what form did that take? 05:11 Ben: I actually start on paper. I write some quick notes and ideas, not even outline style. I just do a brain dump on the topic, and from there, I sit down and write out an outline. From the outline, sometimes, I go back and type out what I’m going to say for each section. Other times, I have the outline in front of me, and I record myself thinking out loud. Especially when I write, I love thinking out loud. I’m kind of a slow typist. I’m slow on the keyboard, so I like to think out loud, because it helps me get my thoughts out a little bit quicker. 06:01 When I type, I’m forced to think about how I want to say things. I think about the topic more in terms of how I’m communicating it and how they’ll understand it. I’m a little bit pickier about the words I choose. I didn’t have time to do that for this last one. I did more of the thinking out loud thing. When I write, it helps me communicate what I’m trying to say more clearly. 06:37 Sean: In this example, Ben was able to do a workshop based on things that he’s written. When you think of a writer, you think of someone who’s an author. You think, “If you’re a writer, you write books or something.” You’re like, “I don’t care to be an author or write books, so I don’t really need to write.” Writing has so many benefits. Obviously, there are the audience-building benefits, there’s the ability to make a living from your writing, because writing turns into so many other things. It could be a workshop, like Ben did. 07:12 It could be a book, certainly. You can also have courses, podcasts, videos, blog posts, newsletters… Writing is the fuel for every other medium. Writing is the starting point. It all starts with writing. When you write something, you can read what you wrote. Now you have an audio file. That audio file could be put with slides or some video clips, some B role that you have. It could turn into a podcast. If you read what you wrote and record yourself on video, now you’ve got something you could put on YouTube. 07:47 You have something you could put on Facebook. You can share it around. You memorize what you wrote and you can deliver a speech. There are so many benefits to writing, but even if all of those sound daunting, the act of writing clears your mind. Writing helps get ideas out of your head to make room for new ones. Get all the cobwebs out! More specifically, the benefits of writing are that you can build an audience this way. If you consistently write about a topic that people are interested in, they’ll continue to follow you and spread the word about you. 08:24You can build community. In a business sense, that could be great. You could make something like a membership site, like we have with seanwes membership. It doesn’t even have to be a formal thing. You can just bring together people who are passionate about the same topic. You’ve got community. Launching things in the future, when you have an audience, continues to get easier and easier, because you’re never starting from scratch. 08:48 You’ve got this audience, and people are following your writing, your blog, and your podcast. The next thing you launch automatically has a bunch of attention. Then, like we said, you can repurpose that value. Don’t think blog post, newsletter, book—writing is not limited to these things. Writing is the starting point. It could turn into a play, a film, a course, a curriculum, a video, an email course, or a series. Writing is the raw material you need to form whatever else you want to form. Think of clay. 09:34 Ben: One of the attendees at my workshop yesterday came out because she is preparing to send videos in to A&M for a master’s program to get scholarships. For many types of scholarships, you still have to write out an essay, but some of them now want you to submit a two to three minute video talking about why you deserve this scholarship and what you’re going to do with it. It’s a really interesting shift. 10:58 Sean: Writing helps you know your message, even if you’re not using it as a script, which we actually do. When we make courses, we use teleprompters on our cameras. We script the entire thing, not just for our own efficiency, because it is convenient, but mainly for the students’ benefit. We don’t want to ramble. I’ve paid for $1,000 programs where the person is on their webcam, they have some headphones, and they’re rambling off whatever they’re thinking. It’s not scripted, it’s not prepared, and things are overly long. It wastes my time. 11:35 I don’t want to do that to my students, so I spend the time writing everything out, editing it, having it proofread, getting someone else to look at it and get their opinion. Then, we turn that into something that we can read. You don’t even have to use a teleprompter to get the benefits of writing. Write out your message and you will know it better. 11:55 I recently, just a couple weeks ago, launched 30 Days to Better Writing. This is a mini course, and you can find it at 30DaystoBetterWriting.com. It’s inside seanwes membership. We’re also going to make it available for purchase separately, but members get access to it for free. The members have been going through it the past couple of weeks. 12:25 We got a question, “How much of the podcast is written?” I’ll answer that real quick. Before I got accustomed to podcasting, I wrote it out very exhaustively. Maybe not every single word, I didn’t read it word for word, but that’s how I started out in the early days. It was a really solid outline. Now, I would say that I have maybe a few hundred words of bullets and outline. Most of it is copy-paste, questions and things. That’s for this particular episode. 12:57 As we’ve gotten more accustomed, especially when we’re speaking on a message we know intimately or we’re passionate about, we can get away with writing fewer words as an outline, but I still want to have a sense of direction. I have a structure to this episode and where I want to go. Anyway, 30 Days to Better Writing is a mini course. It’s 30 lessons for 30 days, and it’s 30 minutes a day. You take 10 minutes to read the lesson, and then you only take 20 minutes to write. 13:33 If you want to build a writing habit, this will walk you through step by step. I give you writing prompts. We’ve got quizzes for each one. It helps you through building a writing habit, and the response so far has been really cool. Collectively, the members have written millions of words just in the first small set of lessons, which is really cool to think about. 14:27 They’ll say, “Well, yes, of course I can.” This is what’s known as the bad toupee fallacy. You say, “Toupees always look terrible. You can totally tell that the hair isn’t real.” But you can only tell if it’s a bad toupee. If it’s not a bad one, you don’t notice it. People who are very well practiced can get to the point where, when they read something they’ve written, you can’t tell that they’re reading. It’s really cool. If you’re able to get to this point where the style of your writing is the same as the style of your speaking voice, you can read what you’ve written and not have it sound like you’re reading. 15:11 It gets even better. You can speak normally and transcribe what you’ve spoken, and it turns into words that look like you wrote them. That’s what I call a hybrid voice. 15:25 Ben: Beyond the content itself, the delivery is kind of a different thing. When you’re reading words that don’t sound the way you would normally speak, it’s very difficult to connect to a voice other than that default formal one we go to when we’re reading. When something looks like the way you would say it if you were just talking to another person, it becomes a lot easier to connect to that natural-sounding, conversational voice. 16:00 It also shifts away from the natural, conversational voice just slightly, so that it still sounds natural, but it sounds professional. Sean, you were telling me that with seanwes tv, you had gotten to a point where you didn’t need to go off the teleprompter anymore. 16:25 Sean: What did we do, Cory? The first hundred some episodes were scripted using the teleprompter, and then we changed it up. We were like, “Okay, I have a little bit of an outline,” and I just delivered it from my head. It came out natural. 17:24 I think that’s a positive thing, too. It’s as if someone were to look at a really good toupee and say, “There’s no way that’s a toupee. That’s got to be real hair.” Something like that. 17:37 Sean: Good writing is simple. My writing two years ago, especially four years ago, was terrible. It was just bad. I did the opposite of what you’re supposed to do. You’re supposed to write for a fifth grade level. You’re supposed to write in clear language, using simple words. I thought I had something to prove, so I would look up words in the thesaurus and look for the more complicated ones. “How can I sound like I know what I’m talking about?” That’s a terrible way to go about it. 18:10 That’s why my writing was so convoluted, as I would have said it before. Now, I would say that it was unclear or hard to read. It’s the exact opposite of what you think. You’d think that if I use big words, people would think, “Oh, he knows what he’s talking about. He’s a good writer.” Really, writing simply, in a way that people understand, is difficult. It requires a lot of discipline and restraint. 18:44 Sean: Eventually, you can get to the point where your writing and speaking voices are the same. They’re infused together. It’s very powerful, because people can read your words, they can read what you’ve written, and they can hear your voice in their head. Obviously, you have to also be putting your voice out there in the forms of audio and video for that to work, but if you’re doing all of it, that’s extremely powerful. Just a quick tip before we get into this whole cyclical approach of developing your hybrid voice. Here’s the tip: Read what you write out loud. 19:22 In today’s lesson in 30 Days to Better Writing, I encourage people to use their voice to create words. A lot of people say, “I can’t really write.” I say, “Can you talk? If you can talk, you can write.” Our phones have a little microphone button on the keyboard. Your computer can dictate. You can record yourself into a tape recorder if you want and pay someone to transcribe it or transcribe it yourself. If you can talk, you can write. How many of you did the writing prompt for today? 20:05 Those of you listening live that are going through 30 Days to Better Writing, did any of you actually do this? The writing prompt was to write your post from today using only your voice. I don’t necessarily think that’s practical, that you’re always going to write with your voice, but I want people to get accustomed to and familiar with the tools in their tool kit. This is a tool. If you ever feel stuck, like you’ve hit writer’s block, you can just start talking. 20:32 If you dictate, if you record your voice, you have words. Your voice turns into words, and you’ve defeated writer’s block. Writing isn’t about writing the perfect words. Even the best writers write terrible first drafts and then they edit it. They always say that the story is told in the edit. It’s not about writing perfect words, it’s about writing any words. It’s about keeping the flow. If you can speak, even speaking the imperfect words, that’s a way to overcome writer’s block. 21:00 I said, “Try this out. Use your voice and dictate. Don’t worry about the right words. Don’t worry about whether the dictation gets the wrong words. You want to edit it.” One of the main things you want to keep in mind is to keep writing and editing separate. There are two modes: writing and editing. What people most often do wrong is they mix these two modes. They edit as they write, and it totally destroys your writing speed. It kills your writing speed. Separate your writing and your editing modes—get all the words out. 21:58 Maybe you’re not going to do that for every post in the future or every time you have a writing session, but if you get in a bind, I want you to remember that you have this tool at your disposal. Everyone knows how to use a screwdriver, but imagine if you didn’t know how to use a hammer. It was in your tool belt and you’re like, “I know a lot of people do this, but I don’t ever use it.” Most often, you’re working with screws, and you use your screwdriver. 22:25 You come across a nail, and you’re like, “I guess I’ll bang it with the back end of my screwdriver,” because you’re not accustomed to the hammer. I wanted to push people outside their comfort zone and get them into that experience of talking and seeing their words appear on the page. 22:47 Ben: For me, that’s kind of my starting point. It has to be with a lot of the topics that I eventually write about. It’s so comfortable for me to think out loud. My thoughts are streaming, and I don’t know, when I write, maybe it’s a self-consciousness thing. If I were to write the way I think out loud, I would hate what I see on the page. I think that’s something I need to get over. I need to get over feeling self conscious about that. For now, it works really well for me to just turn on the Record button. 23:27 I don’t even dictate what I’m saying. I’m just getting my thoughts out, knowing that these thoughts are going somewhere and are no longer sitting in my head. It really clears things out for me. Also, as I hear myself talking, I hear things that sound like what I want to say or the way I want to say something. I remember those things, and then I’m more equipped, when I sit down to write, to write more coherently. Your voice is a tool that can be used for creation but also to audit your writing. 24:10 Sean: Read it out loud. How does it feel? How does it feel to say what you wrote? Would you say it that way if you were speaking to another person? Who’s someone in your house or your office that you talk to? Think of that person, and imagine speaking to them like the sentence you just read. Would you say it that way to them? As a way of fleshing this out, smoothing it out, and infusing your natural speaking voice with your typically more articulate writing voice, I propose what I call a cyclical approach to developing a hybrid voice. 25:15 Sean: Step number one is to break your writing into memorizable paragraphs. Take what you’ve already written, and we’re going to use your voice to make it sound more natural. You’re going to take a piece of what you’ve written, and you’re going to break it down into a paragraph that you can memorize. Get a paragraph you can look at for maybe half a minute or a minute, and memorize what it’s about. 25:37 You don’t necessarily have to memorize it word for word. Just memorize what it’s about. Step two, memorize one paragraph. It doesn’t have to be memorized word for word. Step three, speak it from memory in your natural speaking voice. Imagine that you’re talking to a friend. Step four, record your speech. You’re taking what you’ve written, breaking it down to something you can memorize, you look at it, and then you look away. You have a recorder going. 26:06 Turn on your phone, your voice memo, or your computer, and record yourself, and deliver that message from memory. Speak it the way you would to a friend or anyone else in your home or your office. Then look back at your writing and memorize the next paragraph. Repeat this. Repeat steps three through five. Do a few paragraphs like that, just so you have some material to work with. Then, you’re going to stop the recording. 26:32 You’ve got some stuff recorded. You’re going to stop the recording and listen back to your voice. Here’s where you transcribe the words that you say. The words you spoke from memory are probably going to be different from what you wrote, just slightly. Again, don’t try to memorize them word for word. Try to memorize the main points. What is the overall point of it? Deliver the spirit of the message as if you’re delivering it to a friend, record yourself, and then transcribe what you said. 27:00 When you listen back to this recording and you transcribe the words you spoke, write every single word, even if it’s wrong, even if it was “um,” even if it was not exactly how you wanted to say it. Transcribe it. Get the words on the page, and actually see the words that you spoke on the page. It depends on your personality type, I think, but a lot of people don’t see the words that they speak. When they speak, they don’t see words and letters coming out of their mouth, forming sentences. 27:32 They’re trying to convey a message. It really helps to see the words that you’re speaking. Spoiler alert, the last step, number ten, is to repeat. You’re going to do this numerous times, so it’s a refining process, like the rock-polishing tumbler. You’re refining this. You transcribe the words you spoke, and then you’re going to rewrite your original piece. Look at what you wrote originally, look at the words that were generated by your voice when you spoke naturally as if to a friend, and then rewrite it. Infuse your natural speaking language into your more articulate writing language. 28:20 This creates a new version of the writing that sounds like you would have actually spoken it. Then you repeat this whole process again several more times. Start over. Memorize the new version. Don’t memorize it word for word, but deliver it again. Eventually, over time, this won’t happen in a day or a week, but over time, you’ll develop what I call a hybrid voice. What really helps with this is if you’re doing a lot of writing, podcasting, and video, where the medium is constantly changing and it’s getting transcribed and you’re delivering it again. That helps a lot. 28:51 Ben: You don’t have to do this indefinitely, right, Sean? 28:55 Sean: I think it helps. One of the problems is that a lot of very popular broadcast people, the popular shows you listen to, they have vocal ticks and little pet phrases and words that they say that are kind of odd. You could call them endearing quirks, but not always. Sometimes, they’re annoying. The thing is, maybe, in the beginning, when they got into this, they used to record themselves. They used to edit themselves. Maybe they even transcribed themselves. 29:27 Eventually, they got to the point where they outsourced those things. Other people took care of them, and they can just come in and sit down behind the mic and talk. It’s nice, but they’re no longer auditing themselves. They’re no longer purposefully improving. They’re cementing bad habits. When you repeat something, practice it, and do it a lot, you do get better, but it’s the slow way to get better. If you don’t audit your speaking through writing, you risk cementing bad habits. 30:01 That’s the hybrid voice thing. I wanted to get into that a little bit. There are 30 lessons in this whole thing, so we can’t go into all of them. You can check out the rest at 30DaystoBetterWriting.com, but see what you’re interested in, Ben, and we’ll zoom in on some of these and then get to questions. We have a lot of questions from people. 30:25 Ben: I wanted to bring it something Cory Miller just shared here. He said, “Also, keep in mind that practicing and writing like this doesn’t work if you’re always writing last minute. Get a buffer in place so you can have intentional time to practice.” I absolutely agree with that. From experience, any time I’m writing at the last minute, I barely have enough time to get my message down in writing the way I want to, let alone get that writing closer to a more natural, hybrid voice. You should absolutely give yourself plenty of time. 31:08 There’s something about doing last minute work that seems more efficient, sometimes. When you’re procrastinating, you get that last minute energy, that, “Oh, I have to get this done!” But you’re missing out on all of the creative energy that you have when you’re not under that kind of pressure to deliver something that’s due right away. You still should have a deadline, but it’s a very different creative experience. 31:38 Cory: That’s interesting. If you don’t have that buffer and you’re writing last minute, you don’t have clarity, you’re rushed, and you don’t have the mental capacity to write everything out and start to really develop your writing and speaking voice. 31:59 Ben: This happened to me a lot, too. I’ll write something, if I write it last minute, and I’ll publish it. Throughout the course of the week, I’m not necessarily going back and looking at the article, but my mind is working on it, and I have these moments when I think, “I wish I had put this in there,” or, “I wish I had put that in there.” That’s another great reason to have a buffer. When you write last minute, your mind serves up new insights after the fact that would have made your writing better. 33:21 Sean: This is talking about stream of consciousness writing. The goal, where you want to get, is to think and have those words appear on a page. How great would it be to sit in the beanbag and just look at the screen, and the words you think go on the page? You don’t even have to say them. You don’t even have to speak them. 33:42 Ben: That would be nice. 33:43 Sean: You don’t even have to move your fingers. That would be pretty awesome. We’re not quite there yet, but the goal is to get as close to that point as possible. The way you do that is by bridging the gap between your mind and your fingers. Essentially, you want to get to the point where you don’t even notice your fingers moving. You think, and the words just appear there. It’s through your fingers, but you don’t even really notice it. To bridge the gap between your mind and your fingers, you have to write whatever comes to your mind. 34:29 Ben: There’s also the speed thing. That feels a little daunting. Normally, you have about 150 words per minute delivering a speech. Thinking is more like 175 or 200 words a minute. If I’m trying to keep up with how quickly my mind is serving me words, that sounds a little bit daunting, because I think I’m sitting at 70 or 80 words per minute. 35:14 Sean: Okay. That’s pretty good. That’s like 1.0 Cory Millers. I think that’s the canonical reference point. 35:29 Ben: I can’t even get up to what is considered an average speaking pace. How do I get to where I can keep up with my thinking pace? Do I have to think more slowly? How does that work? 35:46 Sean: In this case, in bridging the gap, it’s stream of consciousness. As you go through this process, as you go through writing every single word you say, your thinking tends to match the speed at which you write. The problem we face so often with writing is that we don’t write everything we think, and we worry about writing the right words. We don’t want to write the wrong words. 36:49 You’re constantly making decisions. You’re making so many more decisions than you normally do in a day, and it fatigues you. When you’re writing, you’re constantly making the choice of, “Do I want to write what I’m thinking right now, or do I not? No, that’s not the right word. What is the right word? Should I write that? No.” You’re deliberating. Get rid of your hesitancy. Make a rule for yourself that you’re going to write the wrong words, because you’re going to write what you think. 37:35 Ben: Have you seen the preview for Zootopia where there’s that sloth at the DMV? My brain is like the bunny and my fingers are like the sloth. 37:47 Sean: I bet your speaking is faster, then. 37:52 Ben: Yeah. It definitely is. 37:56 Sean: Aren’t you a person who thinks out loud, Ben? Isn’t your talking speed your thinking speed? 38:06 Ben: Mm… My talking speed is well beyond what I think the average person, even someone who’s really fast at typing, would be able to keep up with indefinitely. 38:20 Sean: Pick either the typing or talking, whichever one suits you better. Whichever one you can do faster. Get to the point where you’re doing stream of consciousness talking or typing so you can turn thoughts into words instantly. 38:34 That seems silly, but it’s a great little trick. It gets me out of being stuck all the time. I’ll be sitting here thinking, “I don’t have the perfect words.” I’m trying to write a lesson for a course, and the words I’m thinking right now are not the words I know will be on the lesson, so I don’t do anything. I should be writing every word that I think, so I literally start writing, “These are not the right words. I want to tell people that they should start with this, this, and that, but it’s not exactly how I want to say it…” Suddenly, I can see the words there. 39:08 I’m no longer using my brain as storage for these imperfect words. I’m getting the imperfect words out onto the screen. Then, I can see them, and I can use my brain as processing power. I like this. I don’t like that. I like the sentiment here, but I want to say it differently, and here’s how I want to say it. Then my fingers start moving again. 39:28 Ben: How do the people in the court rooms do it? What do they call them? 39:33 Sean: They call them Crazy Fast Typers. 39:36 Ben: There’s a special word for those people. They have a special keyboard, too, that has something extra on it. 40:51 Very soon, iminent. Very angry, furious. Very important, crucial. Very tired, exhausted. Very quiet, silent. Get rid of “very.” Every time you use “very,” try to figure out a more descriptive word to use instead. Then there’s “that.” 99% of the time, you can remove the word “that” from your writing, and it reads just fine, just the same. It’s one of those words we use in natural language a lot, but in written language, it’s simply not needed in most cases. 41:32 There are a few rare instances where it is needed. Just try removing “that” and see if your sentence works. 41:38 Ben: She didn’t know that he wanted to go to the ballet. She didn’t know he wanted to go to the ballet. 41:44 Sean: There you go. The last one I would say is to remove “I think” from your writing. You’re basically afraid of someone else having some opinion about your opinion. When you write the words “I think,” you’re afraid to say something with conviction. 42:05 You’re afraid of being wrong. All of those things are not really that bad. Everything you write, regardless of whether you preface what you write with the words “I think,” is your opinion. It’s just your opinion. No matter what you write. I can say anything I want with as much gumption and conviction as I want, and it’s still my opinion. Do you have to say, “In my opinion,” or, “I think…”? Just say it. Have some conviction. Be wrong sometimes. People love the transparency and authenticity of publicly admitting that you made a mistake. 43:40 Sean: It’s okay. Especially in natural language, like if we’re on a podcast, we’re probably going to say “very.” We’re probably going to say “that.” We’re probably going to say “I think.” This is just something to keep in mind for your writing. I still do it. I still write those words, but sometimes I can just do a find and replace and clean it up. 44:00 Ben: I was noticing as I was preparing for the workshop the other day that I would use the phrase, “One of the best things you can do,” or, “one of the most important things,” that phrase and phrases or words like it. Sean, you mentioned “very,” removing that and replacing it with other descriptors. Some of those descriptors are also overblown or exaggerated, like the word “extremely.” Those kinds of words or phrases, when used too often, water down the meaning and the power that you want them to have. 44:44 Instead of saying, “One of the most important things you can do,” or, “One of the best things you can do,” reserve extreme phrases for when you actually need power behind what you’re saying. 45:05 Sean: If everything is underlined, nothing is underlined? 45:21 Ben: I guess that’s what I’m getting at. Overusing phrases and terms that are meant to exaggerate and make your words more powerful ends up diminishing the power of everything. 45:42 Sean: Cory Miller asks, “Have you found good rewards to incentivize building the writing habit? I find it difficult to just mark the red X or have ‘not breaking the chain’ be motivation enough for me to build the habit.” The benefits of writing are the motivation for me. I see the results. When I write, it moves people. My words move people and help them. My words sell. My words make money. My words turn into video that people watch that serve as a case study for my ability to deliver a message, and I end up landing a speaking gig. 46:27 I see the benefit of those words, so if I’m going to continue getting those benefits, I’m going to continue to write. I need to continue to write consistently, every single day. If I’m going to write consistently, that means that I need to have a writing habit. A habit isn’t something where, once you have it, you’re good forever and you’re never going to fall off of it. We fall off of habits. 46:51 I started running again this morning, but before that, I had fallen off of it. Maybe some of you have written every day at one point in your life, but during this recent season, things are busy. You have stuff going on, and you haven’t written every day. You’ve fallen off of that habit. You have to stay on that habit. How do you stay on the habit? To keep up a writing habit, you have to have accountability and a clear direction. 47:18 That’s why I wrote the 30 Days to Better Writing course. It gives people a step by step guide to building a habit, whether they feel like they don’t have anything to say, they don’t know what to write about, where to use what they’ve written, how to improve on purpose, how to edit, how to write clearly, how to capture the short attention span of the internet reader, how to move people with their words, how to sell in their writing… I want to help them with that, so I came up with a step by step system that they can follow. 47:47 They can say, “You know what? Every day, I’m going to go through a new lesson.” They don’t really have to think about it. “What am I going to write? What’s my schedule? What’s the prompt?” I’m helping them with that. That’s one less thing to think about. Then, there’s the fact that in the Community, there is this live interaction with people. You’ve got hundreds of people going through the course at the same time. Define today as a success if you show up, and the results will come. 48:42 The Seinfeld trick is to put a red X on the calendar. Put a red X on the box every day that you show up to write. Eventually, you’ll have a chain of Xs. He says, “Your only job is not to break the chain.” I think that Cory’s saying, “I don’t feel like that’s enough motivation for me.” I don’t think that’s your motivation. That can’t be your motivation. That’s just a hack. What’s the point of having a bunch of red Xs? Why? So I can do what? You have to have that deeper thing that you’re going after. Realize that writing enables that, and all of these other things are just kind of supporting. 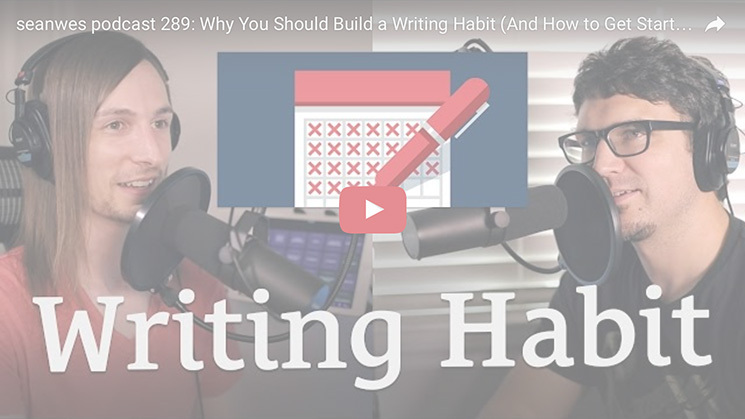 49:23 Ben: I’m glad you said what you did about the other tools you can use to reinforce your writing habit, because when you first started writing, I don’t want to say something that’s unfair, but you had already grown an audience that was ready to hear from you. Your writing habit really developed around something you already had. It has grown it exponentially. 49:54 Sean: That’s when people noticed. That’s when I took it really seriously and applied myself. I was like, “This can bring some results.” I poked at it years before then. 50:06 Ben: I’m thinking about the people who are in this situation. They don’t have an audience. They’re just learning what their message is. They don’t have the same motivations, where they get to see the results of this. It takes a long time. It’s important to be realistic about that. It’s just hard to believe that the things you say are true about a writing habit and what it does for you, at least enough for it to be a strong motivator. If you experience the rewards of writing, it becomes a motivation, but you’re not going to experience those things unless you stick with it. 50:52 I think you do need to trust the people who have gone before, who have writing habits and who have experienced that success. You have to believe it can also be possible for you. You do have to get accountability. I like the chain thing. One, don’t break the chain. Two, get really, really good at getting back on the horse. If you’re the kind of person who breaks the chain, the whole thing falls apart, and you don’t revisit it for another six months, that chain isn’t doing you any good. 51:35 Sean: Virginia says, “Building a writing habit is one thing and maintaining it while juggling a busy life is another. What advice can you give about staying on the writing habit, even if your life gets in the way some days? How can I recover quickly from a day or two of my habit missed?” I think a lot of the things we talked about a while back in a previous episode apply here (Related: e238 How to Learn and Grow From Mistakes). 52:02 I think a lot of those things apply similarly to falling off of a habit. It’s kind of like a mistake. It’s a good thing, assuming it’s a good habit. When you fall off a habit, establish a process and follow the process in the future—always make new mistakes. If we apply that to habits, always fall off of a habit in a new way. If you’re falling off in a certain way, refer to step one. Establish a process and follow the process. 52:46 I understand what Ben was saying. That’s a very good insight. From the perspective I have now, seeing how far I’ve come, it makes sense that writing was the catalyst. Retroactively, I point back and I say, “I didn’t know it at the time, but right here was the inflection point,” and that’s where I started writing. You look at my annual revenue, and for seven years, I was making almost the same thing. Before you see the payoff of writing regularly, show up every day for two years and don’t expect any results during that time. 53:51 The results will come. You have to trust the process. 53:56 Ben: I did want to bring this in. This is a more holistic way of looking at it. Right now, I’m in a place with my business where doing content marketing and that kind of writing doesn’t make as much sense. In order for me to spend time on writing, I’ve got to write about other things. If I’m going to have a daily writing habit, I’m going to be writing about a variety of different things. Some of that can be about my business. 54:23 I’m working with clients right now, and the more I write, the more clearly I can communicate and the easier it is for me to sell to my clients and the easier it is for me to network with people because I have clarity in my message. There is a more real time feedback in that scenario. You could be writing about your relationships or the things you want for yourself personally. You could write about your health. 54:54 There are a lot of things you could write about, and doing so will give you the kind of clarity where you’re experiencing a more real time benefit from that. That’s one way to find motivation when you want to start a writing habit, because you believe the things you’re saying about the long term results, but you know it’s going to be a while before you experience those results. 55:21 Sean: Another way to get that motivation would be to get around people who are also starting a writing habit. That’s why we have the Community. You come here, and it’s not just Sean, who’s been doing this for many years, but it’s people in various stages. They’re starting it right now. They started it several months ago. They started it last year. You can almost see a cross section of where you’re going to be. They’re all right here. Those people are here. 55:51 They’ve been doing this for varying levels of time, and you can see, “This person has been writing for two months, and they’re having this struggle,” or, “They had this breakthrough, and they had their first comment or their first troll or spam comment.” Or, “This person got retweeted by someone in their industry or got featured here,” and they’re eight months in. 56:30 Sean: Jared says, “Can you speak to the difference between personal writing, like journaling or keeping a diary, and professional or business writing? Where do you draw the line, and are there topics, ideas, modes of thought, tone, etc, that need to be deliberately used and practiced to grow in professional or business writing?” Where do you draw the line? Write everything. Write anyway. Write every day. 57:00 Don’t worry about where it’s going to be used. Just start with yourself. Start personally. Don’t feel like, “If I write something, I have to publish it and everyone will see it, and it’s not good.” Just write for yourself. My early articles from five and six years ago, no one ever really saw those. They were on previous websites. All that did was to help me get the bad writing out. That’s not the writing that mattered, but that writing helped set me up for the writing that does matter. 57:32 It still matters, but you know what I mean. More people see it, it makes an impact, it reads well… Just get the bad writing out. Write anyway. Don’t worry about where you’re going to use it. You’ll find that the writing you do for yourself personally, as you grow and you start sharing more, you’ll realize that we’re all humans and we all have similar struggles. You think of things as being very personal, things you would never share or tell anyone about, yet you go online, on Reddit, on Twitter, YouTube, Pinterest, and Facebook, and you read those very intimate, raw, vulnerable stories that other people share. 58:13 You read those things because you relate to them. You connect to them. Those are the stories that resonate. Eventually, you realize that we’re all in this together. We all go through the same things. The things you wrote for yourself personally, maybe even years ago, you can potentially share. Eventually, you may feel like you want to share those things. Eventually, you may not, but my encouragement would be to just start writing. There isn’t much difference between personal and business writing. 58:47 You may think, “I have to write using technical terms and I need to sound professional for business,” but really, you need to write in simpler terms. I can’t tell you how many times I come across an article or a podcast and it’s all acronyms and jargon. I can’t make heads or tails of anything, and it’s really frustrating. I want to come into this industry, I want to be invited in with simple language, and it’s not happening. I don’t think the people who are wise to that kind of language really care one way or the other. 59:20 If you use simple language, if you spell out your acronyms, they’re still tracking with you just the same. Writing simply, writing for humans, is still relevant in the professional and business industries. Gary Vaynerchuck says, “B to B is still B to C.” It’s still a human on the other side, even if you’re dealing with business. It’s still a human. 59:49 Ben: We do ourselves a disservice when we create unnecessary boundaries between our work and our personal lives. Really, it’s all integrated. There are natural boundaries, the boundaries of the time you’re spending, where you’re spending it, physical locations, the fact that your children can’t be in a client meeting with you necessarily. There are all of these natural boundaries. When we put up mental barriers between our personal and our professional lives, we keep those areas from being richer, because they play into each other so well. 01:00:33 When you take from your personal experience and you share personal stories and you’re able to relate those to what you’re doing in business, that’s going to create a much stronger connection between you and the customer and the client or the audience member than if you were just speaking to them from the standpoint of the business or the industry. 01:00:58 Sean: Amanda says, “This might be addressed in the writing course. I’m behind right now, but how do you edit efficiently? I write and I write, but I never get anything finished and posted.” It seems like two questions to me. She’s asking how you edit, but she’s also saying that nothing is ever finished and posted. I see it as two problems. Even if you have something that’s good enough to post, if you’re hesitating to put something out there, you’ll still find reasons not to do it. 01:01:29 I think one problem is overcoming that hesitation and just putting your work out there anyway. The other problem is, how do you edit? I’ll leave the technical parts of editing to the course, although I don’t even get super into the editing. I do provide links to additional resources on going deeper with my recommendations. Specifically, on the publishing thing, if you’re writing and writing and you’re never publishing, you’re never sharing or finishing anything, you need to go a little bit smaller. 01:02:05I can only think that you have a bigger idea in your mind than what you really need to publish. Maybe that’s word count. Maybe that’s grandiose-ness of your message. “It’s too trivial of a topic!” Or, maybe, it’s just the perfection level of your words and how they read. Somewhere, you have too big of an idea of what this should be before you publish it, and you’ve got to go 90% perfect on that (Related: e224 How to Cure Perfectionism). 01:02:41 That’s the perfectionist’s solution that we talk about. If you’re a perfectionist, lower that. You have unrealistically high standards. Your 100% is just way unrealistic. It would take ten times as long as it would take to get to 90% perfect. Lower your impossible standards down to 90% perfect, and your 90% as a perfectionist will be way better than everyone else’s perfect. 01:03:09 Just get it out there. Start smaller. Try to do less with your piece. Whatever you’re writing but never publishing, try to do less. I don’t know exactly where you’re trying to do too much. You have to audit yourself. Somewhere, some idea you have is too big, so try to do less and get your work out there. Practically, get your back against the wall. 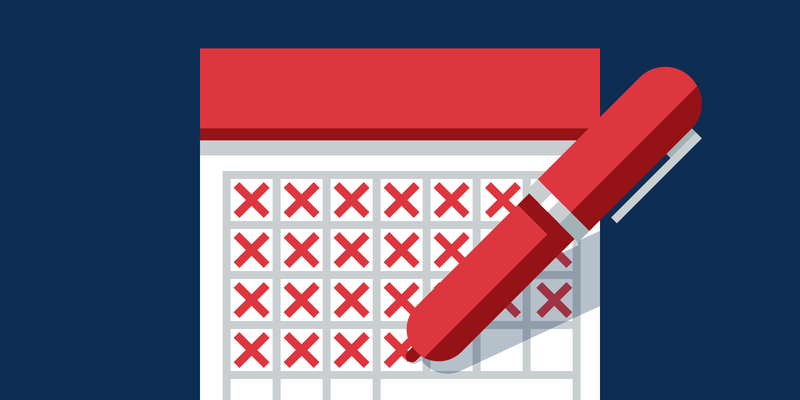 Put yourself on a schedule. Make a public commitment. Get an accountability partner. Say, “I’m publishing this Wednesday at 8am.” Just do it. You have to do it. 01:03:45 Ben: What I heard in the question, and I wonder if the answer you gave also satisfies this, was that I imagined a bunch of unfinished articles because she couldn’t “land the plane.” You know how you have to have that last conclusive paragraph, or those few conclusive sentences that tie everything up and wrap it up in a neat bow? For myself, that’s something I have really struggled with. I’ll write what I feel like is a really good article, but I get to the end, and I don’t know how to finish it. 01:04:29 It’s like that with conversations sometimes. I have a great conversation with somebody in person, and then it’s time to leave, I don’t know how to say goodbye. This is awkward. I wonder if what you were saying, Sean, particularly about scaling back the idea or not trying to cover so much, helps with that. Maybe the problem is that I feel like there’s more to talk about, and I’m afraid I can’t have another conversation. If I end it here, I feel like I’m cutting something off in the middle. 01:05:05 Sean: You can always go deeper. Once you have written an article, done a video series, done a course, written a book, or given a speech, you understand just how much deeper you can go into everything. What you thought once was a simple topic, now, with experience over time, you realize is anything but simple. There’s a lot of nuance to it. You’ve got to come up with a smaller version of that. You simply can’t address everything when you write, so you have to be okay with a smaller version of it. 01:05:39 What is the goal of this piece? Am I introducing someone to the topic? Are they new? Have they been doing it a while? Am I talking about streamlining? Am I setting them up for everything they need before they go into, say, taking a course that I have? Or maybe it’s just an email course. What do they need to know going into this email course that you wrote that helps them learn things that are a lot deeper? Solve smaller problems. 01:06:12 Ben: That also helps if you experience the feeling where you feel like you’re cutting something off in the middle. You can look back and say, “What was I saying here that was kind of unnecessary? Taking those things out makes it easier to look at the piece as a whole and feel like you’ve got something concise that you can summarize. 01:07:07 Other people said, “I struggle too. I want to draw and spend time on that.” He followed up, “Yeah, it’s tough, especially when you see some of your creative heros succeeding without having a blog or podcast.” My initial thoughts are, first, that people who write have a better chance of getting noticed, making a name for themselves, growing an audience, and attracting clients. 01:07:38 Is it possible? Can you be an anomoly? Can you get famous, succeed, make money, and amass a following without writing? Sure, but if those successful people also wrote, think about how great it would be. Think about how big their audience would be and how much more money they would make. You’re looking at these anomolies. We’re just taking for granted that they’ve made it. You’re saying that they succeed because you look up to them, but what is suceeding? 01:08:07 Is it having 10,000 followers? What does their bank account look like? Are the clients they work with enjoyable, or are these people who you say are succeeding also complaining about their clients? Are they tweeting with complaints about their clients, with little animated gifs and memes about, “Oh, when the client does this and that…” What does their bank account look like? What is success? If success is 10,000 followers and no money in my bank, I don’t want success. That’s not the version of success I want. Writing will attract the right kind of clients that you want to work with. 01:08:49 They don’t result in situations where you do tweets complaining about your clients, and those clients will pay you well, you’ll enjoy your work, and maybe you have 200 followers instead of 10,000. What is success, really? You have to question the definition of success. Also, realize that you don’t know what someone’s bank account looks like. You don’t know what their client situation looks like. You know what they project. 01:09:15 That may be cool work, and it may also be complaints about clients. You have to take it with a grain of salt. Let’s assume that they are successful, by objective standards. They’re successful. This is either success bias or confirmation bias. Basically, this person is successful by any objective standards or by my opinion or observation of them, and they do these things. Therefore, if I do these things, I will be successful. It’s a fallacy. 01:09:52 When you see people who are successful who don’t write, you might think, “If I don’t write, I’ll be successful too. I have a shot” That’s a very real danger. It’s even more dangerous when people preach things that are other than what they’ve done from a platform of success. 01:10:17 Ben: How do you know they don’t have a writing habit, they’re just not writing publicly yet? 01:10:21 Sean: There was a third one. You may not know their past. Maybe they did write, blog, or do some kind of regular show. Maybe it was a local thing that they did online, a pamphlet that they handed out, or a local workshop. Maybe they did or maybe they didn’t. Again, they could be an anomaly, but what if that got them an initial platform from which they grew without writing? It’s all very possible. If you write, you set yourself up to make a name for yourself and to get better clients. 01:11:03 Clients want to see case studies with work that you’ve done. They want to see the problems that you’ve solved. They want to see the process, and you want to work with great clients. You don’t have to have a ton of clients. 01:11:18 Ben: Especially in the beginning, if you’re not writing for content that you’re publishing, like a weekly article or newsletter, it’s the perfect time to write about your business, your goals, and the things that you want for yourself and for your clients. Write about the kind of clients you want to work with. Write content for your website. Write the case study content. There is a lot of stuff that you can write about now that will have a direct benefit to your business without being the two years of content marketing that you put in grudgingly before you finally see the results from that. 01:12:10 Sean: At 30DaystoBetterWriting.com there are 30 lessons for 30 days, 30 minutes a day. It doesn’t even really take 10 minutes to read the lesson. Alex says that he reads it in a couple of minutes, but it’s 20 minutes of the writing part each day. I walk you through it step by step. I help you build a writing habit. It’s really good. I hope people go check that out, because we can only scratch the surface here, especially if you are a seanwes member. You have free access to that course, so go check it out. I hope this episode was helpful. 01:12:42 Ben: If I get up at 4:30am and I do my workout, and I’m done with all of that stuff by 5:30am, I have from 5:30am to 6:30am that I can devote to writing whatever I want. 01:13:00 Sean: This is the perfect companion. I’ll help you get started and give you prompts and stuff, but a lot of our students are using it with their current projects. They’re working on a course or they’ve got a regular newsletter, and they use it to kick start what they’re already doing.